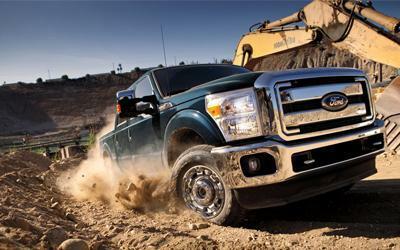 Ocean Park Ford's commercial truck leasing services provide a single source for your transportation solutions. Whether you need a single fleet vehicle or an entire fleet of commercial trucks, we're here to help. Pick from over $10 million in commercial truck and van inventory. We can lease a pre-owned fleet vehicle and we have a large selection of lease returns. We deliver anywhere in British Columbia including Surrey, Langley, Vancouver, Richmond, and White Rock. We can even ship a vehicle across Canada. Our Commercial Leasing Program allows a company to obtain commercial vehicles without having to buy the equipment outright. In doing so, the business is able to preserve cash flow for everyday operating expenses. Commercial automotive leasing is similar to renting with the additional advantage of having an option to purchase the vehicle at the end of the lease term. Ocean Park Ford Leasing is a premiere automotive leasing company in Canada. We pride ourselves in being the "go-to" company for vehicle leasing for businesses in every industry. It's our tailored approach to transportation. You get a complete solution designed specifically to meet your needs. Vehicle Acquisition - Ocean Park Ford's specification and acquisition expertise provides a cost-effective strategy. Customized Financing - Our lease financing expert provide solutions to meet your specific tax management, balance sheet, residual responsibility and cash flow objectives. Maintenance Services - Ocean Park Ford Leasing's superior technology, technicians and facilities enable you to control costs, improve cash flow management, maximize over-the-road dependability and minimize downtime. Vehicle Management - Ocean Park Ford Leasing lowers your administrative expenses by handling titling and registration, vehicle disposal and more. We offer lease terms from 1 to 4 years. Help with timely maintenance as required. When considering leasing, also consider our full maintenance optional product available at the start of your lease term which can save you substantial running costs. Should you finance, lease or buy a vehicle outright? We can help you determine which way to go, and we also have a great selection of fleet vehicles for sale for your business. Call us at 604 531 6100 or email at fleet@oceanparkford.com.